The Steamed! Halloween Author Invasion starts on Sunday–are you excited? I know I am. 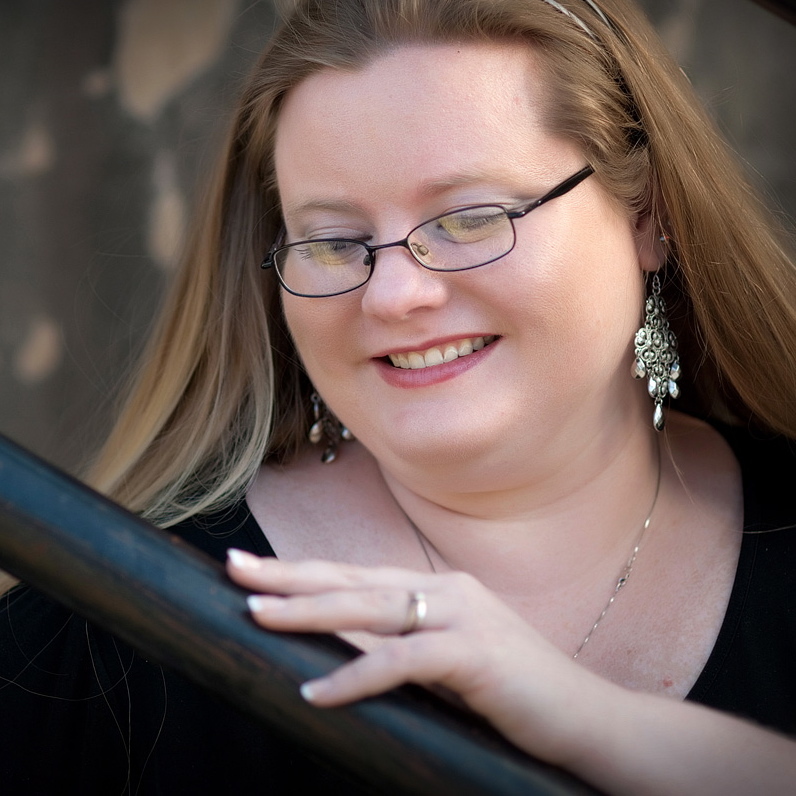 We kick off with YA author Tera Lynn Childs as some of our favorite non-steampunk authors “invade” the Steamed! blog this coming week for spooky posts, prizes, and mayhem in honor of Halloween. 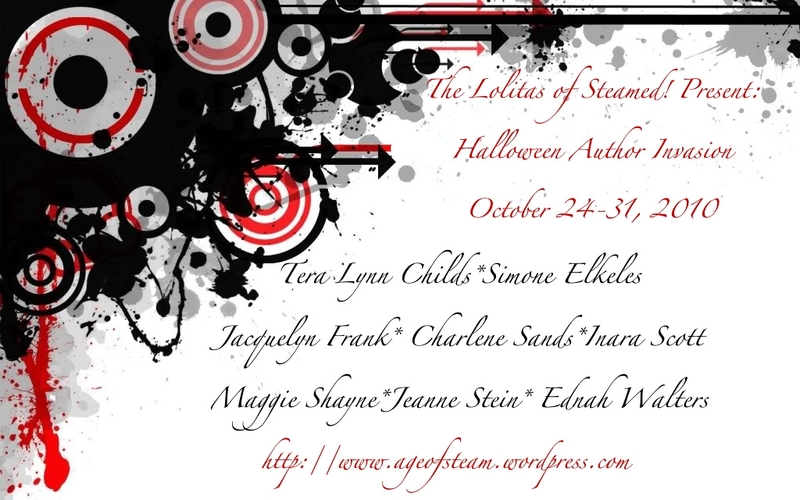 From October 24-October 31 stop by each day for a new author and new giveaway. See you there. Today we welcome author Kristen Painter. 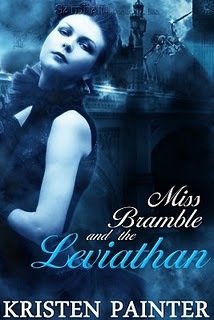 Her steampunk romance, Miss Bramble and the Leviathan was just released on Tuesday from Samhain. One lucky commenter will win a copy. To enter, just leave a comment. Contest ends October 30th, 2010 at 11:59 PST. Kristen Painter is a former college English teacher, personal trainer, advertising exec, maitre d’, and runway model. When not building fantastical worlds, creating new characters or plotting herself out of a corner, she hangs out in the forum at Romancedivas.com, the award-winning site she co-founded with Jax Cassidy, blogs at www.kristenpainter.blogspot.com (except for Tuesday’s when she’s on deck at www.fictionistas.blogspot.com) or tweets at http://twitter.com/Kristen_Painter. When Suzanne invited me to guest blog, I couldn’t for the life of me think of anything steampunky to talk about despite the fact that my steampunk romance, Miss Bramble And The Leviathan, came out on Tuesday from Samhain. 1. Your sunglasses are actually goggles. 2. Top hats are part of your everyday wear. 3. Your pet requires winding and the occasional touch of oil. 4. Tea is your favorite drink, especially when served from your antique Victorian tea set. 5. It takes you fifteen minutes to remove your coat due to the number of buckles. 6. Corsets are a mainstay of your lingerie and outer wear. 7. A trip to the hardware store means you’re getting a new outfit. 8. 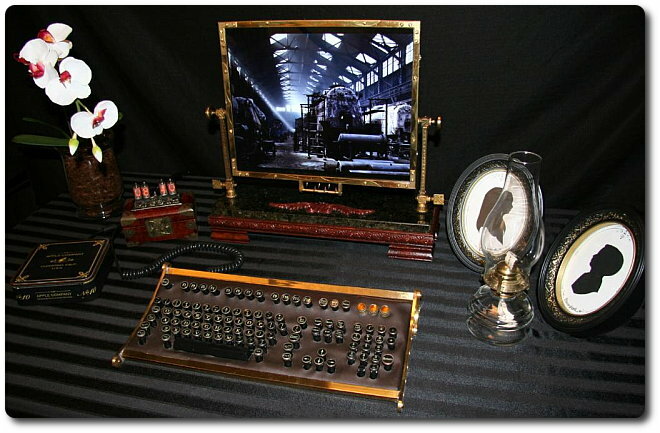 Most of the electronics in your house have been rehoused in custom-made brass and wood cases. 9. As soon as the financing comes through, you’re trading your car in for a dirigible. 10. You travel by train whenever possible. 1. You think an iron lung is a new submersible device. 2. You spray paint all of your electronics copper. 3. The only gears you own are the ones you shift. 4. You’re pretty sure Jules Verne is the guy who mows your grass. 5. 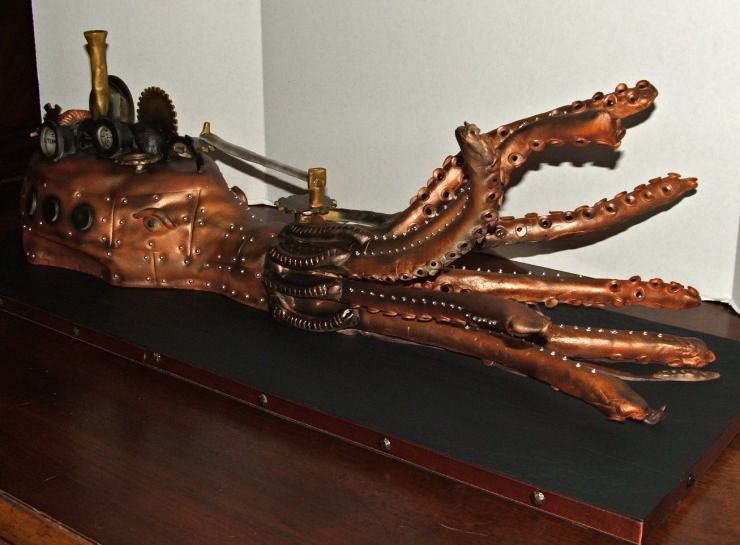 Your favorite steampunk outfit was purchased at Abercrombie. 6. 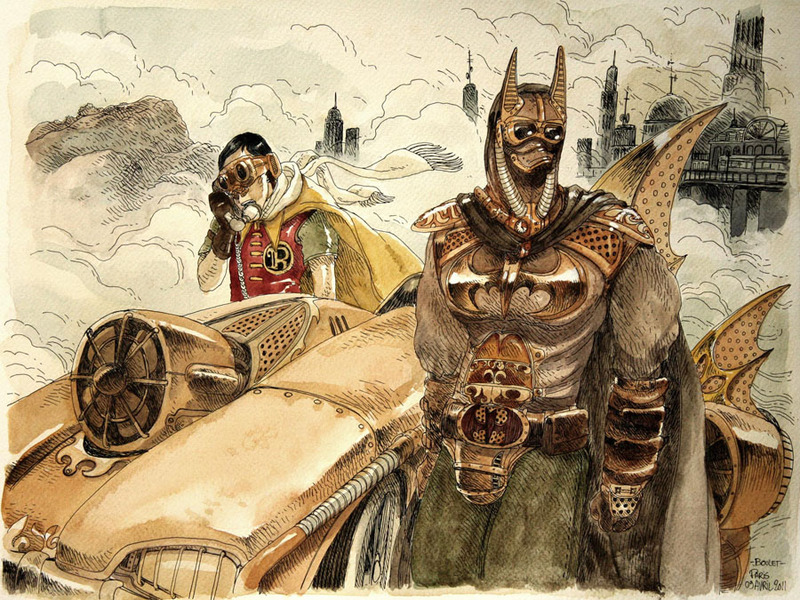 You’ve got goggles, all right. The same ones you wore on the high school swim team. 7. You’ve renamed your cat Sprocket to help build your street cred. 8. 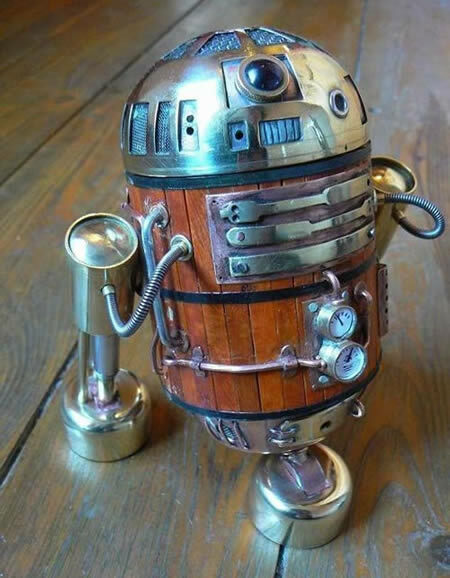 You just build a robot! Out of pipe cleaners! 9. You think spanx and corsets are basically interchangeable. 10. You once asked someone if a difference machine really made a difference. Have any more to add? 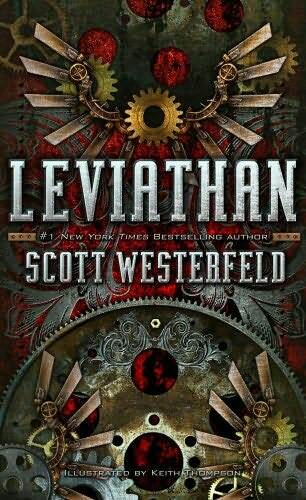 One commenter will win a copy of Miss Bramble And The Leviathan! 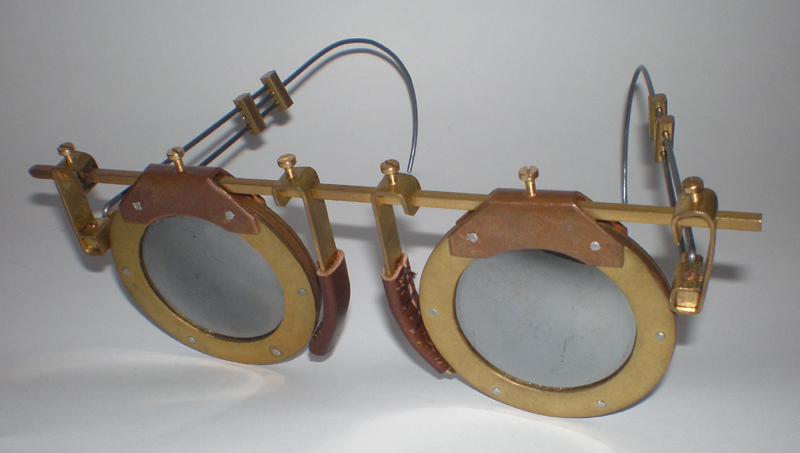 You might start out with a pair of Steampunk shades to protect your eyes from the harsh summer sun, like these cuties designed by Steam-Heart. When you hit the beach you could wear a Brass Bikini. Though it might not be the most comfortable of beachwear. 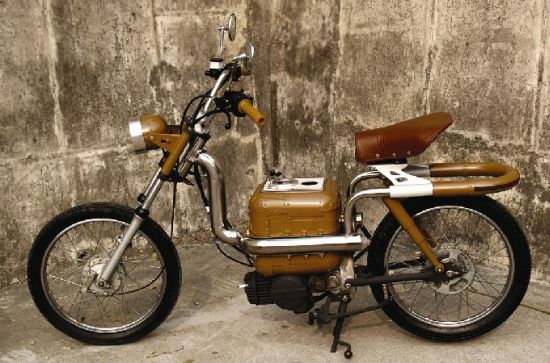 You could go for long rides on a slim and speedy Steampunk Motorcycle like this one by Choi Minsoo. 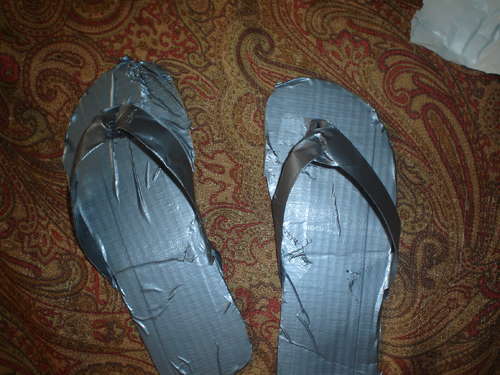 Making some Duct Tape Flip Flops and decorating them with cogs, gears, and other things would be fun. 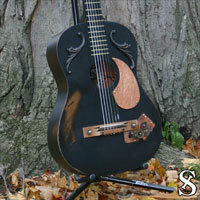 Or it might be nice to spend lazy days at the beach playing one of Stone Laboratory’s beautiful acoustic guitars. I was thinking about what a Steampunk Thanksgiving would look like. So I came up with the following menu. This is not what we’re having for Thanksgiving (I’ll be at my sister in law’s) but it sounds interesting, don’t you think? 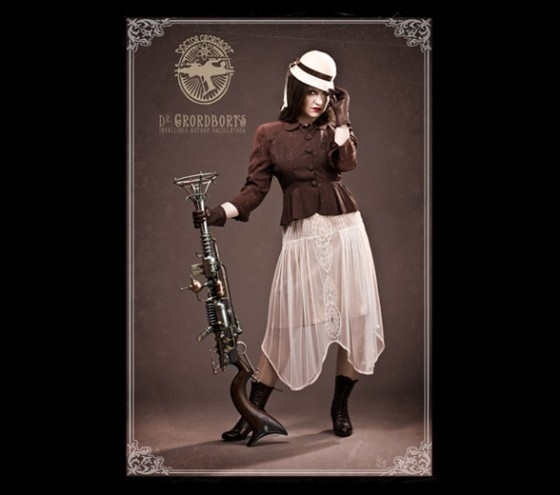 Think dinner by candlelight, great music, fun placemats, clock-part napkin rings…Could you imagine a steampunk cornucopia as the centerpiece? Anything you would add? So what will you have for Thanksgiving dinner?